The Castelli Velocissimo 3 bib tight is a great option for riding in mid-winter. With its warm, soft, fleecy Thermoflex fabric and a great fit you’ll be comfortable without feeling any restriction every time you wear them. With breathable mesh bib straps the Velocissimo 3 bib tight features secure Camlock ankle zips and with rider safety in mind, particularly in poorer light conditions Castelli have included reflective hi-viz strips on the back of the legs. This version of the Velocissimo 3 comes without an internal seat pad for those that prefer to wear them over their favourite cycling shorts. Please Note: This version of the Velocissimo 3 DOES NOT feature an internal pad, an alternative padded version is available HERE. Usual Castelli quality and sizing, I'm 5'7" and the medium is a very good fit. 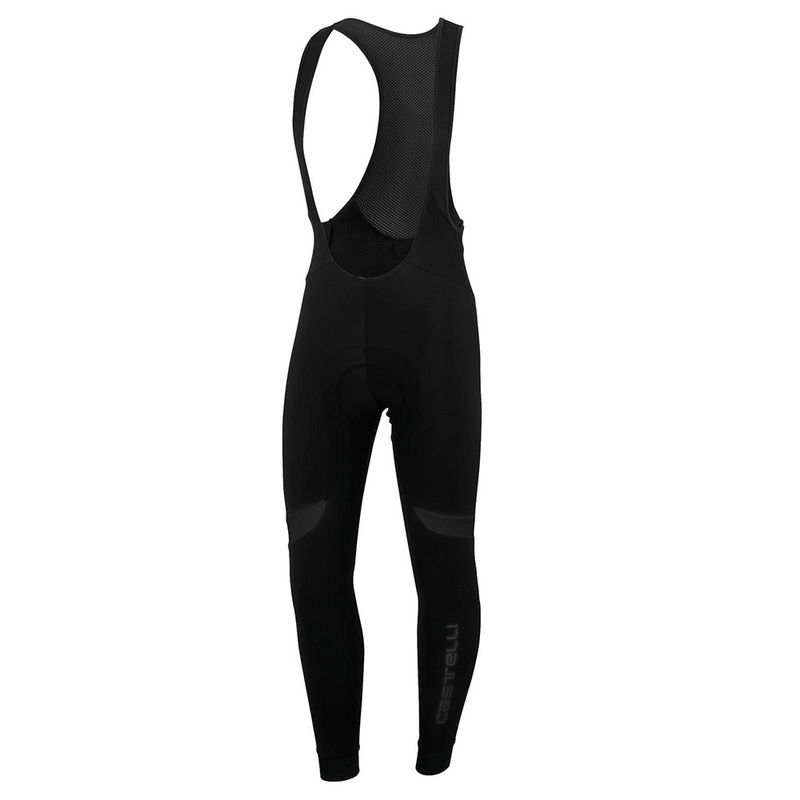 I find they keep me warm down to 3 deg, I also have the version with the internal pad but find these are not quiite as warm as wearing shorts underneath the bib-tights adds an extra layer of insulation from the cold. Excellent quality, great fit. Probably the best bib tights I have purchased. And a fantastic price in the sale. More suited to dry and reasonably warm Weather.